Who doesn’t want to be more organized? I must admit, I need help in that department – from the home, to work & during the holidays! As someone who freelances, I always strive to be organized with my record keeping. I have file folders to hold my receipts, containers to hold tax records from the year before & notebooks with financial notes containing driving mileage. Regarding the holidays, I have plastic containers for wrapping paper, holiday ornaments & pretty ribbons. 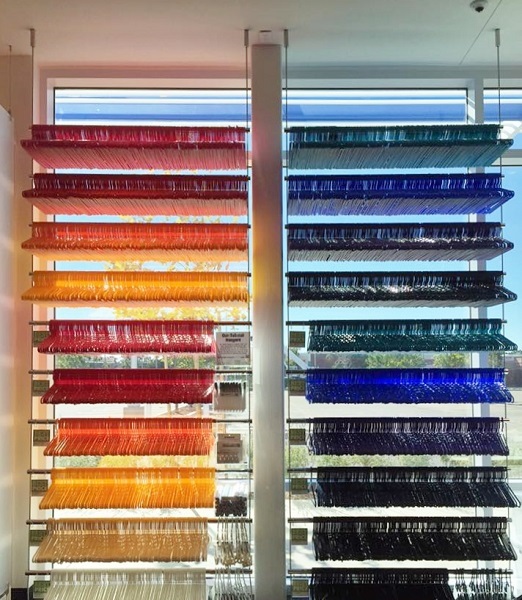 Yet whenever I walk into The Container Store, I just marvel at all of the things I need want that will help me in my quest to stay organized & sane! 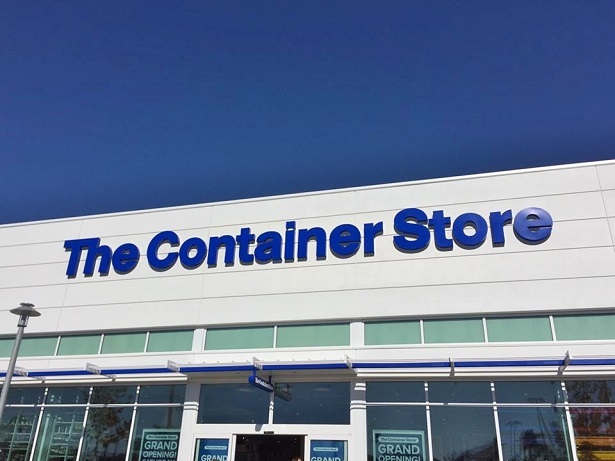 Last month I attended a media day at The Container Store in Oxnard. Although I live in the Valley, I would consider this my local Container Store since the other store options for me are Pasadena, Farmers Market/The Grove or Century City. I’m always up for driving to Ventura County since it’s a pleasant drive & it gives me an excuse to stop off at the Camarillo Outlets (but that is another story or blog post). NOTE: Currently there are 12 stores in California. Shout out to my NorCal friends, as a Sacramento store is opening in January 2016! Overall there are about 77 stores throughout the United States. 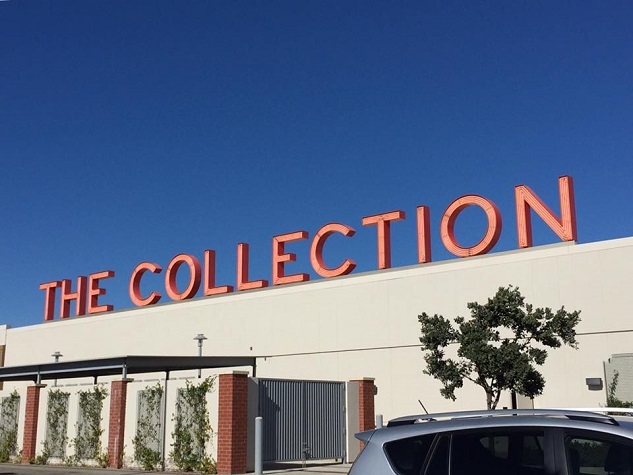 The Container Store at the Collection At RiverPark in Oxnard is the sixth location in the greater LA area. This 23,000 square-foot store features more than 10,000 multifuntional & innovative products. 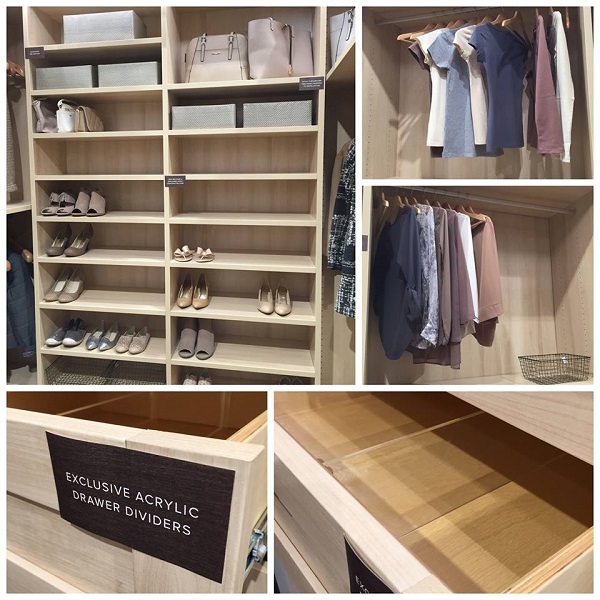 No other retailer offers the depth & breadth of storage solutions that The Container Store does, including over 300 food storage solutions. 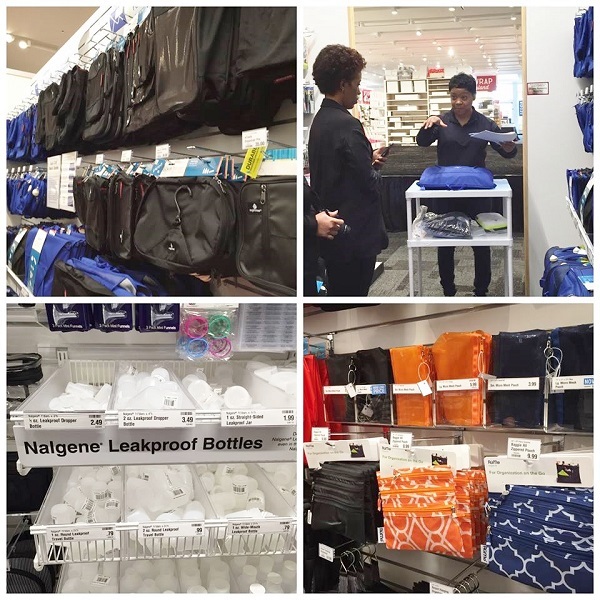 The Container Store also has over 750 organized office products & 400 solutions to organize a traveler. My hubby loves those bags that helps him fold (and contain) his business shirts. I’m a fan of those leakproof bottles, which I believe are TSA approved. They even have 70 different styles of hangers. That’ a lot of hangers! So remember when I said that The Container Store can help you with your holiday needs? 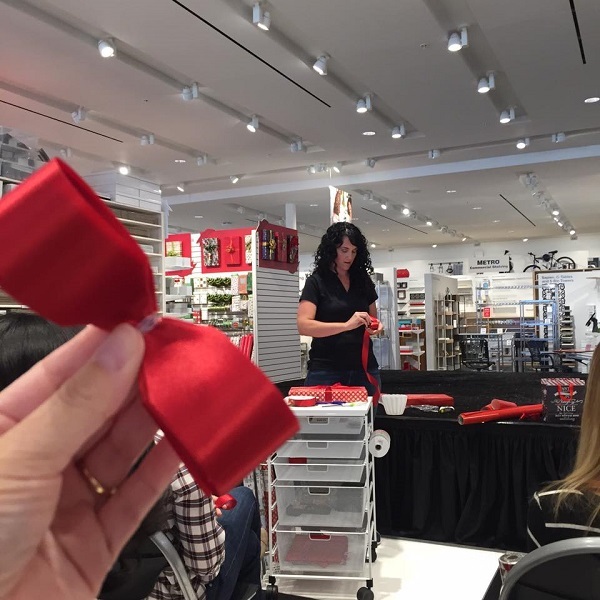 An employee gave a quick demo on how to wrap a gift box. 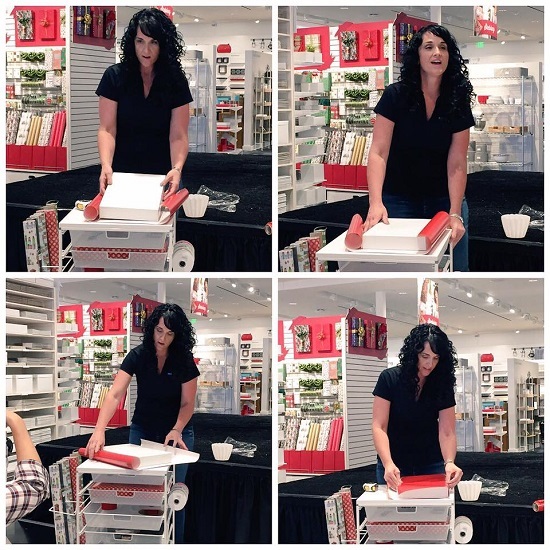 The art of gift wrapping is kind of lost on me, so I tried to pay close attention to this demonstration! 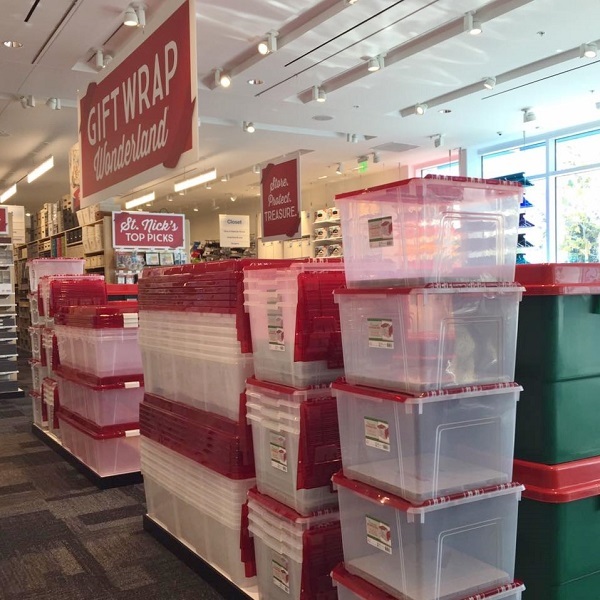 Besides gift wrap, bows & decoration, The Container Store also has…yep, containers for your gift wrapping! 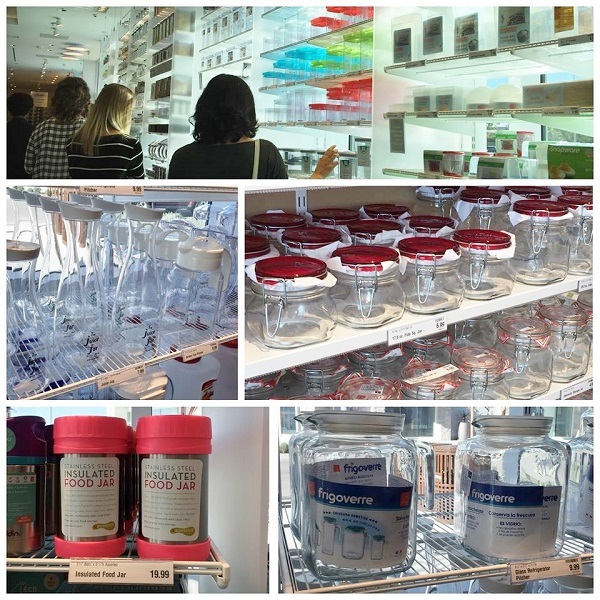 Thank you to The Container Store for hosting a fun lunch & learn at their new store in Oxnard, CA! 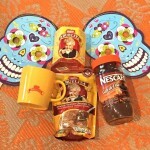 For more info, check out their website & Facebook page. Also a special shout out to Sara of Radiant Organizing in Santa Barbara who I bonded with during the tour. 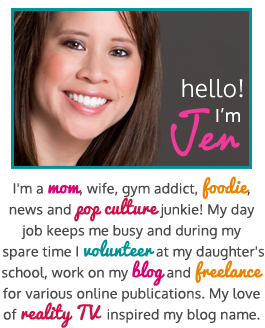 If you live in the Ventura/Santa Barbara Counties & need a productivity/organizing specialist, then you should check her out! Disclosure: No monetary compensation was received for this post. I attended a media event which helped facilitate this review. All images & opinions are 100% my own. 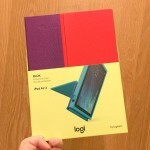 Holiday Fun with Logitech + Gadget Giveaway! 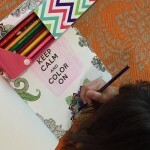 Personalized Coloring Books for Adults AND Kids! Aquarium of the Pacific: Winter Holiday Celebration + Admission Coupon! 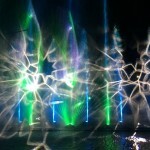 LA Zoo Lights Up the Sky This Holiday Season!